Valueeasy to describe with broad generalities but terribly difficult to quantify with hard measurements. And that is the task that Box Value Engineering (BVE) has taken on. Our team seeks to help its customers & prospects understand, measure, & ultimately optimize their Box investment. 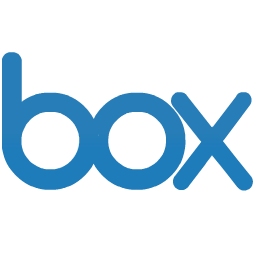 Much like Box is redefining how people work together, Box Value Engineering seeks to transform how value is measured. We do not rely on conventional approaches from traditional vendors. We pursue a new, agile, disciplined path to support a cloud-first world. In its first year of operation, BVE established the foundations that have been enthusiastically embraced by our stakeholders. This year, we intend to 10X things. Its an irreverent team. Its a demanding environment. Its a once in a lifetime opportunity to stretch & learn & shape your growth. Box is looking for Value Engineers across regionstocollaborate with our prospects & customers to develop business cases derived from a value-based methodology. In this role you will work cross-functionally withaccount execs, sales engineering,customer success, consulting, & marketingtoestablish a shared vision with our customers & help them achieve their strategic goals. You will play a critical role inthe development of both quantitative & qualitative analyses. The successful candidate must possess an inquisitive, disciplined mind, be able to holdin-depth value oriented conversationswith CXOs,enterprise architects, & line-of-business users. Most important is a firm understanding of the impact that digital transformation has on an organization. Previous value engineering experience is not required. Confidencebased on rigorous preparation & forethought. Assist in conducting value analyses for Box prospects & customers. This includes the creation of analytical models as well as written reports to convey the findings. Domain expertise inEnterprise Content Management (ECM)and/or IT infrastructure and/or digital transformation. Experience withSoftware as a Service (SaaS)is a plus.